MAC Viva Glam Ariana Grande. Along with the coldness and with a christmas shaped hole in our heart, January is a time for traditions – every January comes the launch of the new viva glam lipstick, and this year the honour has fallen upon Ariana Grande (who I definitely had to google, oops). 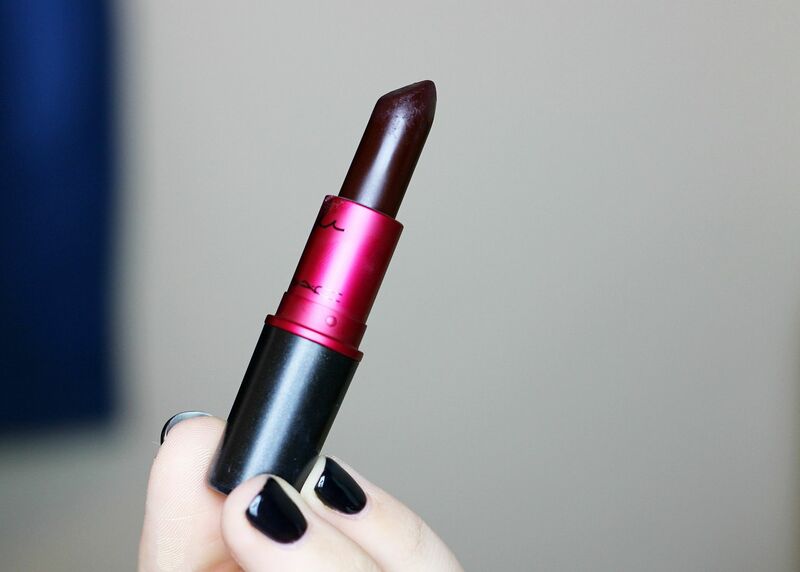 In the bullet, the viva glam Ariana lipstick looks like a dark chocolate colour, but on the lips it applies as a deep jammy berry shade. The formula is a matte, but it not the easiest to work with – this is a high maintenance colour that needs a lipliner and it’s not a colour you can slick on and forget about… unless you enjoy smudgy purple around your lips. I found that at first, it applied in quite a creamy way but then it dries down a bit and then a second coat really makes the colour work a lot more. Give it time to dry down. That does mean that it’s a bit too patchy when used with a one coat, which is disappointing. 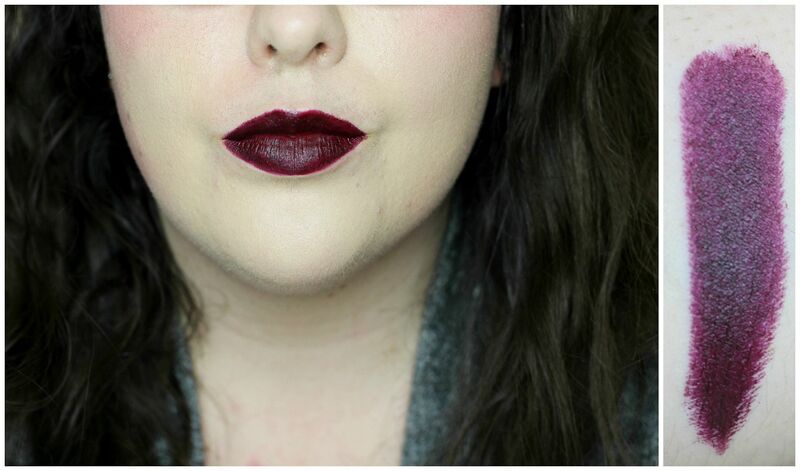 I wouldn’t recommend this shade, and I think if you want a vampy shade then do for a liquid lipstick. I do love the viva glam campaign though (all proceeds go their AIDS charity), and support it for that reason. If you liked this post, you might like this post on viva glam miley or this post on viva glam miley part two!